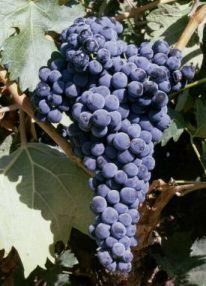 This Spanish varietal is responsible for some of the greatest spanish wines from Rioja and Ribera del Duero. It is a well structured variety which ages well when properly extracted and matured. The general characteristics it enjoy's are of berries, earth, minerals, herbaceousness and dark fruit. It produces medium to full-bodied wines that carry a special terroir that expresses a wildness and spice like no other variety. California has aslo produced a few successful examples of this grand variety. My favorite's include wines produced by Marques de Caceres and Tinto Pesquera from Alejandro Fernandez. Post your Experiences with El Tinto Del Pais!